The SC-T5200 features Epson's latest PrecisionCore print head and aqueous UltraChrome ink chemistry, It will print an A0 image in as little as 50 seconds with output that dires almost instantly to be water and rub resistant. 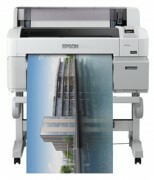 It is extremely cost-effective to run with low power and low ink consumption. Ink ships in a range of cartridge sizes to suit different production and cost-per-print requirements. Designs for business and corporate environments, the printer features all front loaded consumables with dual rolls, has a small footprint and can be installed against a wall or in a corner. It ships with a suite of software that enables easy printing from office and CAD/GIS applications complete with job costing and remote management facilities. 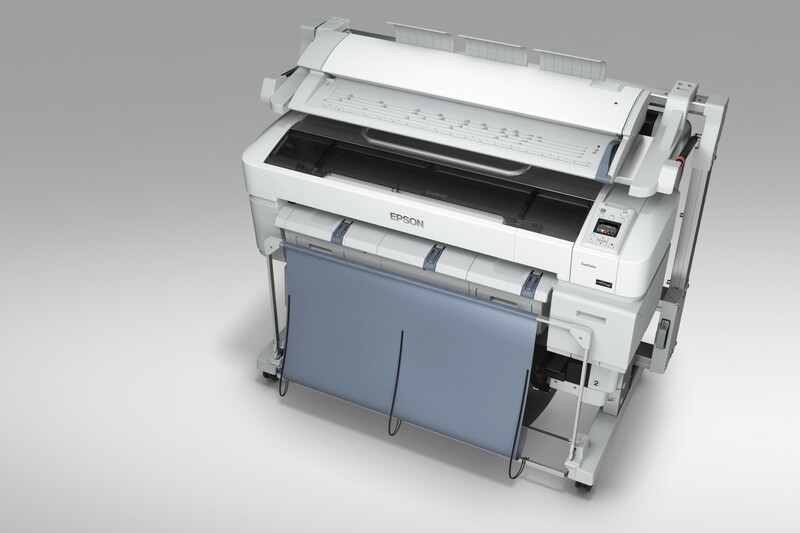 The printer can be ordered with an optional high-speed Postscript module for design and poster work, and a wide format scanner for full MFP scan, copy and document sharing functionality.